Tarte are one of my favourite beauty brands. While I've not tried an awful lot from their range, the products I have tried are ones I've loved. This mascara is one of my favourites and I love their Amazonian Clay blushers. I also love that they're a cruelty free brand. Although I don't use entirely cruelty free makeup, I do like to prioritise products from brands that adopt these practices as often as I can. 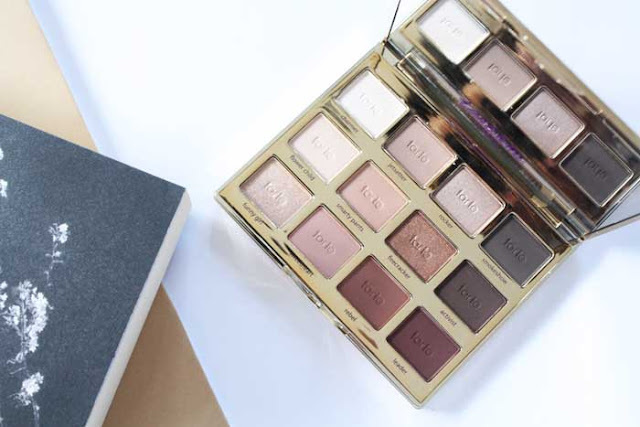 Anyway, I picked up their newest eyeshadow palette recently after seeing it in person and playing with it at Fiona's house and today I thought I'd give it some love on the blog. Aren't I nice?? Firstly, Tartelette in Bloom is absolutely stunning. Photos really can't do it justice but its packaging is such good quality and it is very sleek. It's the perfect size for slotting into a makeup bag and it's not heavy as such. I like to hold palettes in one hand when I'm using them so I do pay attention to the hefty feel of palettes. The eyeshadows also have a chocolatey scent to them, much like the Too Faced Chocolate Bar palettes which is enticing as well. Inside you'll find twelve eyeshadows, three lusters (shimmer) and nine mattes. Out of all these shades I'd probably use Smokeshow, top right, the least just because I don't tend to use matte black eyeshadows but everything else I can see myself using. I like that the matte brown shadows in here have a touch of redness to them. It's not something a lot of neutral palettes tend to include. They help to give a bit of warmth to your shadow looks. The shimmers are all beautiful. I do love me a good shimmery eyeshadow though. You can dampen your brush before applying these to really amp up the intensity and vibrancy of the colour. I'm so glad I got this palette. It's by no means a necessity but if you love eyeshadow like myself then I recommend you check this out. I love the colours in this palette and there's not one I'd consider a dud. This is definitely a palette I can see myself getting a lot of use out of as well. Tarte, you did good. 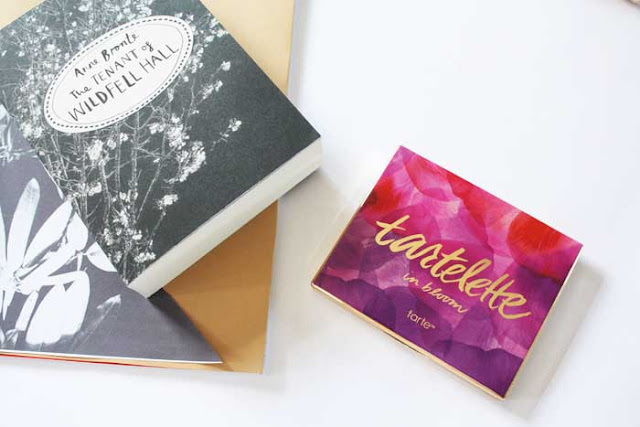 -Have you tried the Tartelette palettes? What did you think of them?